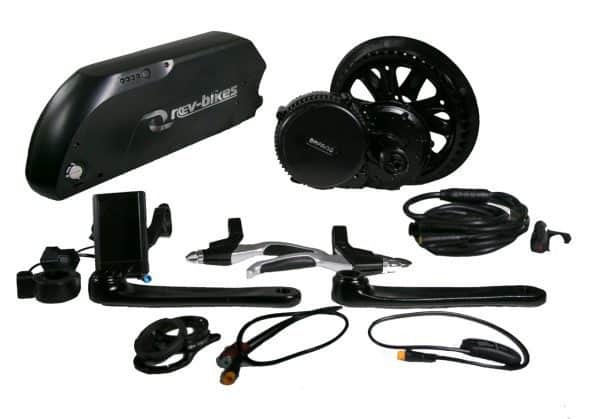 PRICING INCLUDES INSTALLATION by REV-BIKES! 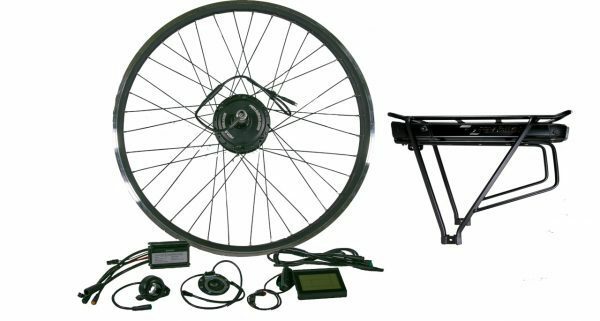 The REVolver 500w hub motor kit is the perfect autopilot commuter, which will transform virtually any bike into a punchy yet simple e-bike. 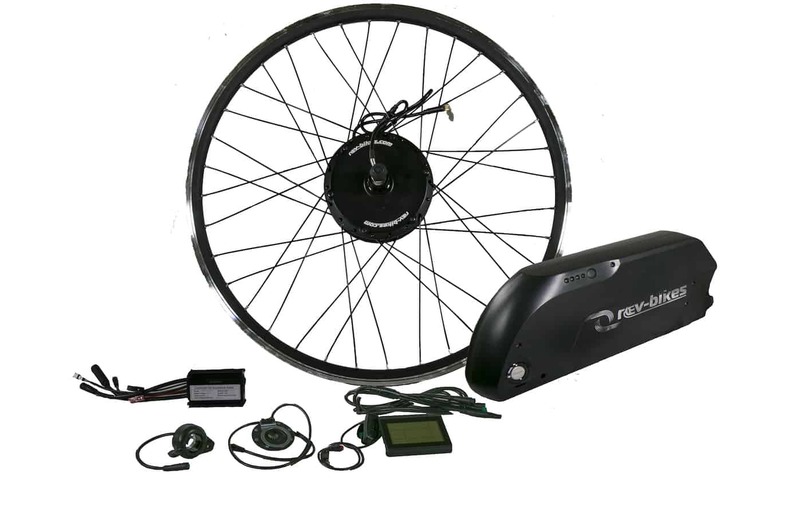 If you want to forget about gears and feel like you are being pushed uphill by the most awesome tail wind ever, this is the kit for you! 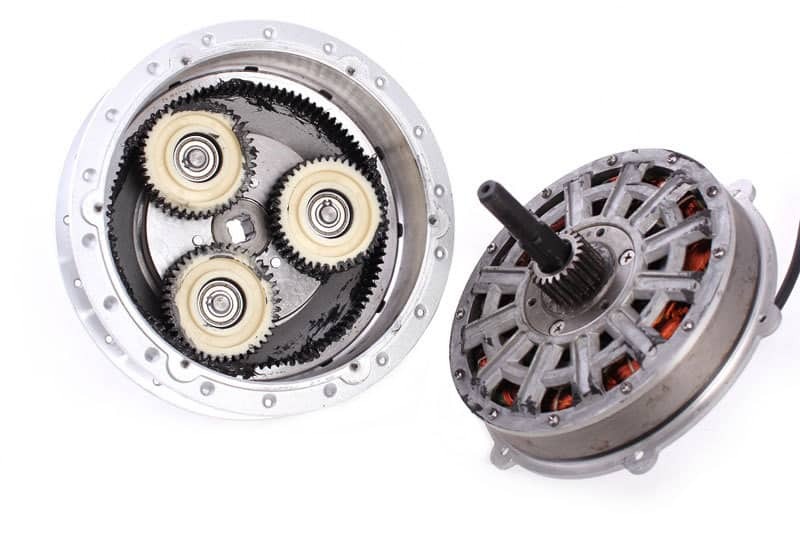 Our over-powered hub motor kits come in all common wheel sizes, to replace the rear wheel. 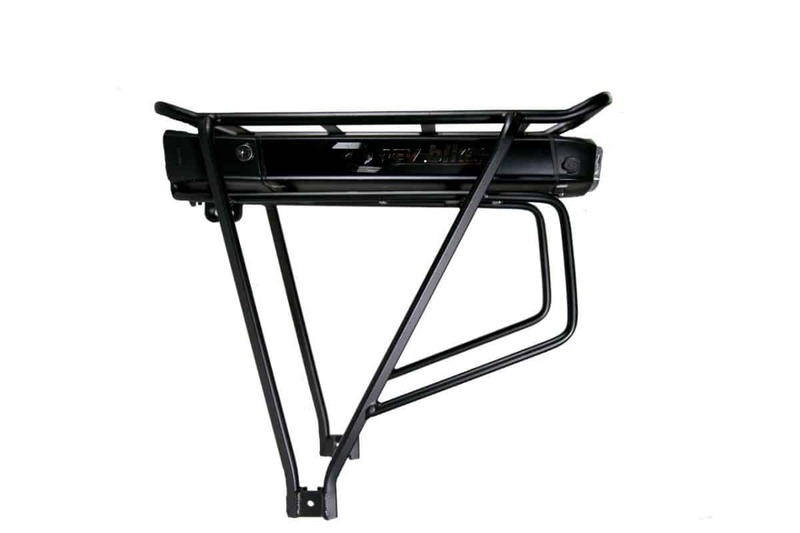 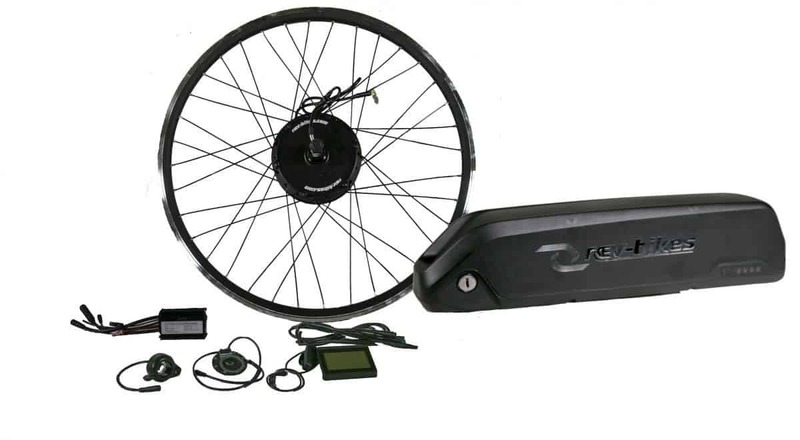 The system allows you to choose between 5 different levels of automatic pedelec assistance. 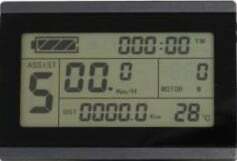 These levels are easily adjustable from the LCD screen on the handlebars. 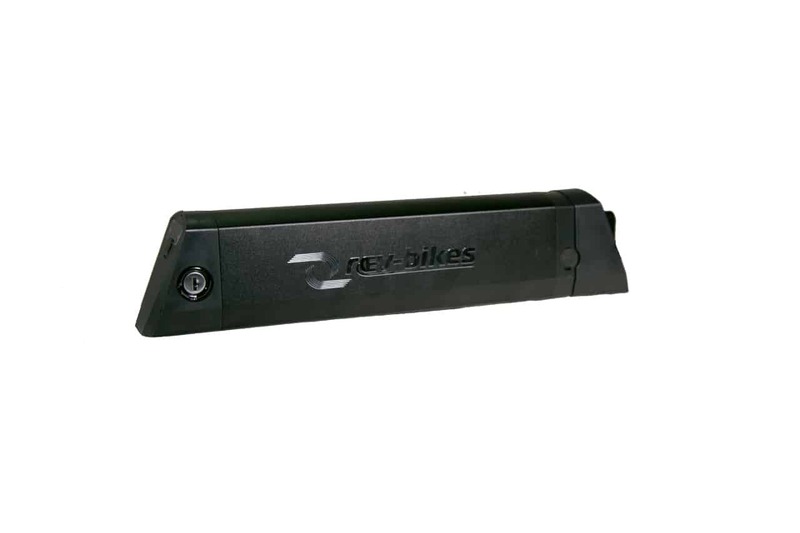 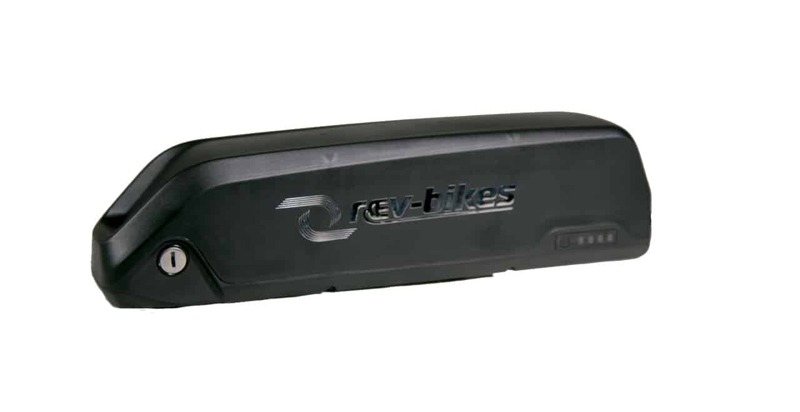 Choose from our range of versatile and practical matched 48v batteries, either frame-mounting which is designed for balanced comfort due to their central and low mounting position, or rack style as better for step-through bikes. 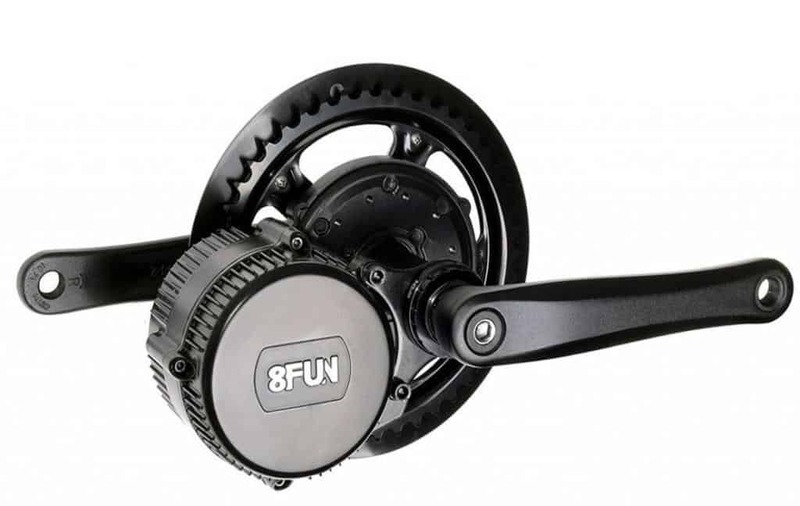 The subtle and stylish matt-black planetary geared motor is totally freewheeling, meaning there is no resistance to the normal rolling motion of the wheel. 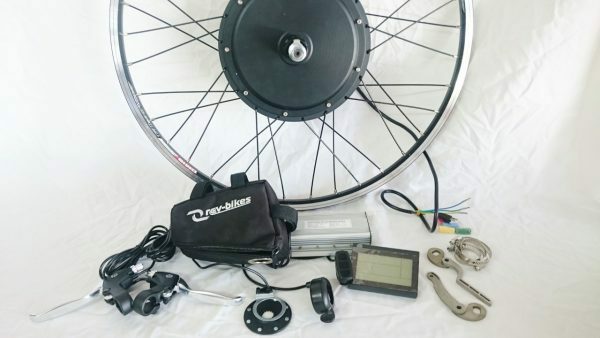 This motor will reach a top speed close to 40km/h in regular sized wheels, and is still perfectly functional as a regular bike for exercise as well. 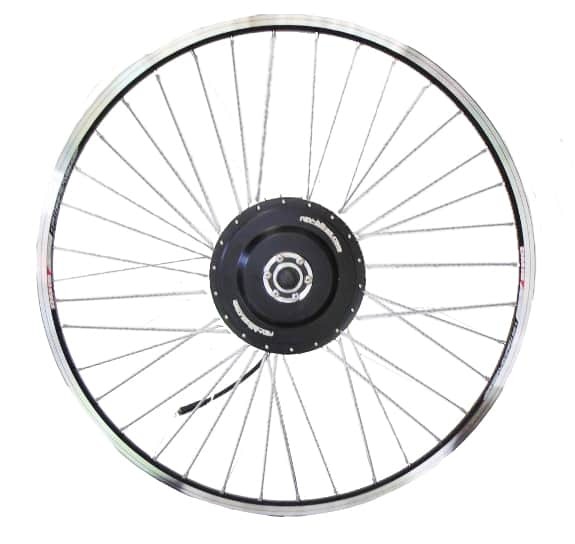 Our wheels are built using durable double-wall rims and thicker 12G spokes, to withstand the extra weight and torque of the motor. 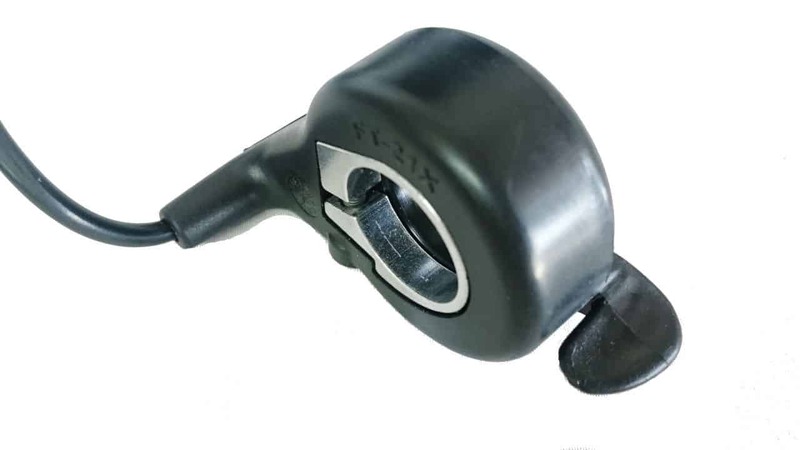 A spline mount is attached to fit your 7-10 speed cassette. 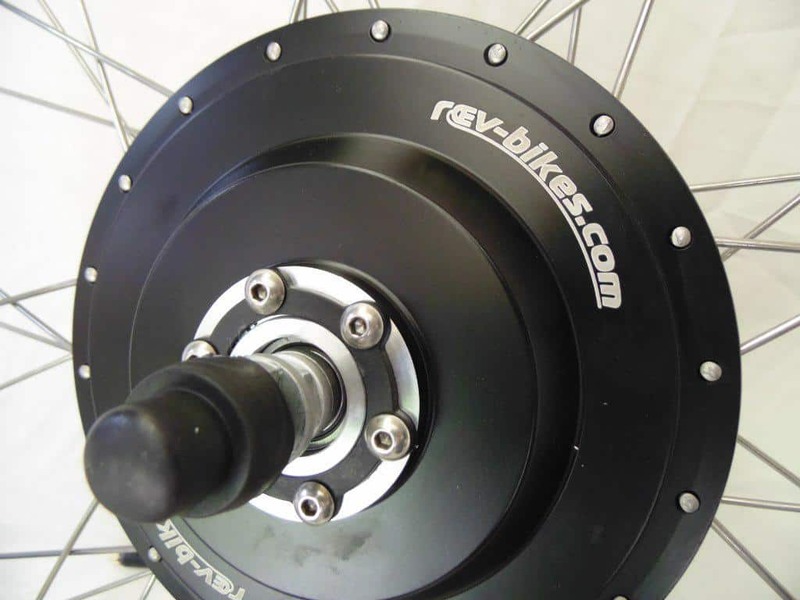 The motor casing also includes holes to attach a disc brake rotor, if you bike has discs. 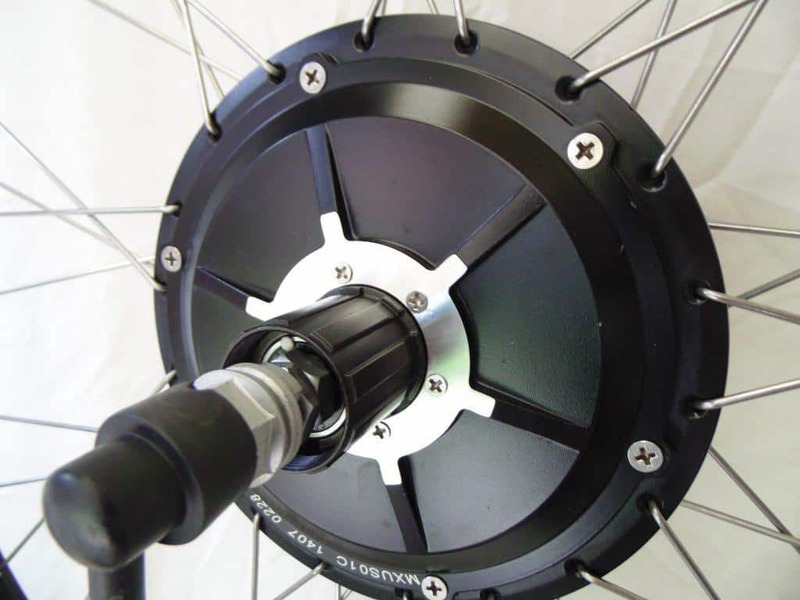 All common wheel sizes are available to choose from, and there is a plug near the wheel for simple removal. 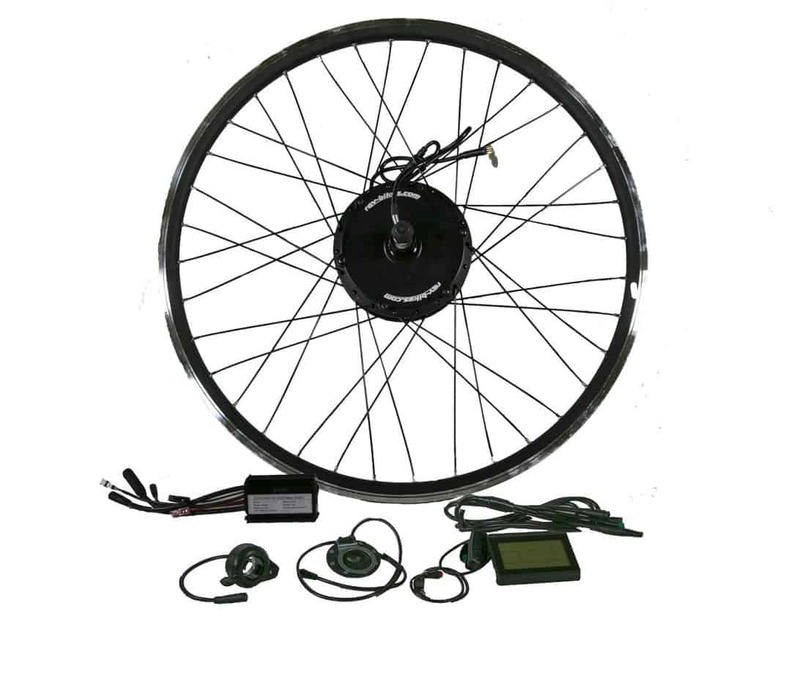 This quality motorised wheel is matched with a compact 17amp controller, the brains of the system, positioned between the battery and the motor. 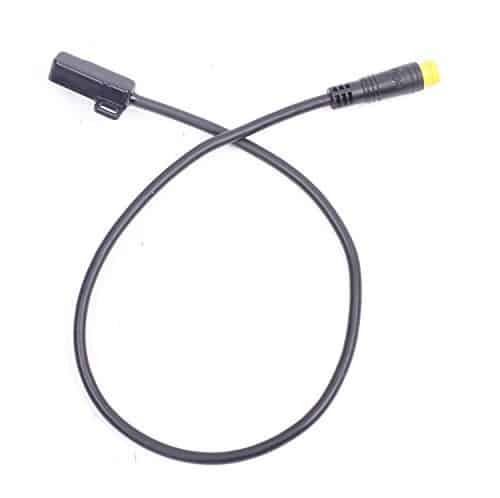 All cables come to this hub, and are designed to be appropriate lengths for the average bike. 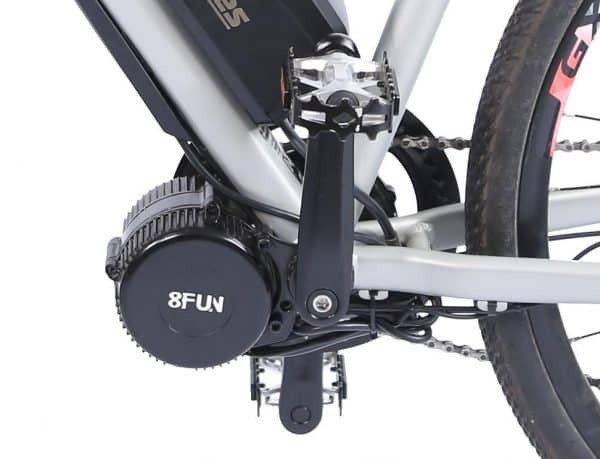 The controls included for engaging the motor are the pedelec sensor (mounted to the bottom bracket), and the optional-to-install throttle (thumb style as standard, or twist style available on request). 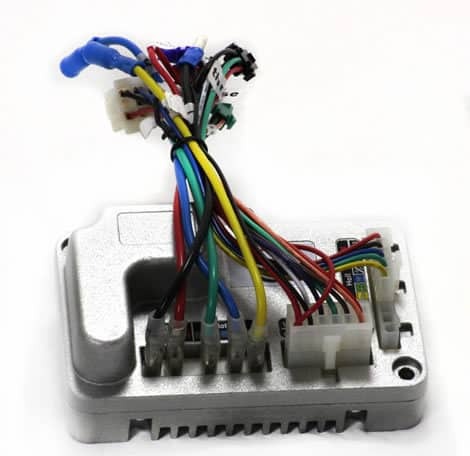 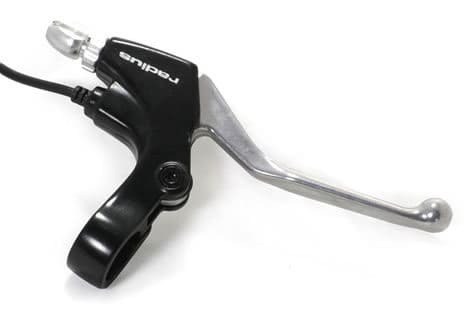 Throttles are popular amongst people who really need the assistance taking-off, before they have rotated the pedals enough for the pedelec to kick in, and also for an extra squirt of power when in lower pedelec levels. 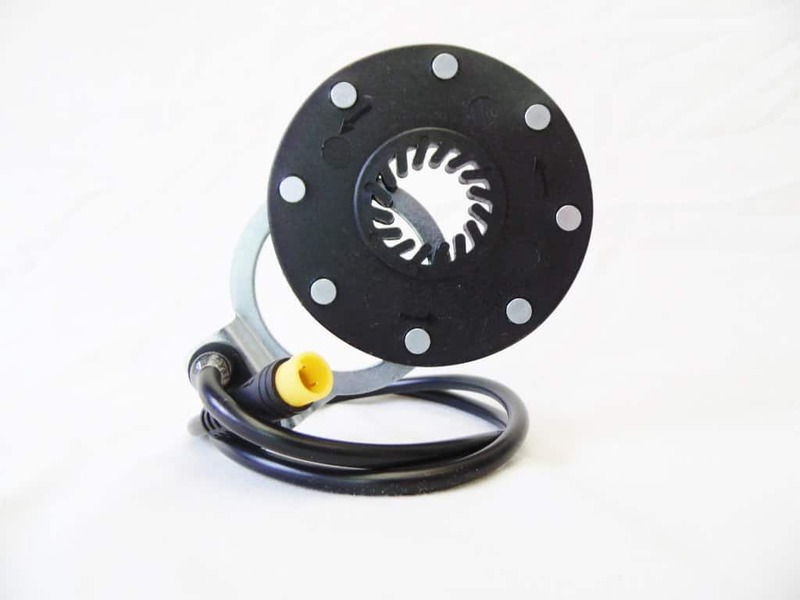 Also included are electronic cut-out brake levers, or magnetic cutout sensors which can be fitted to existing levers, to provide a safety cutout feature when braking. 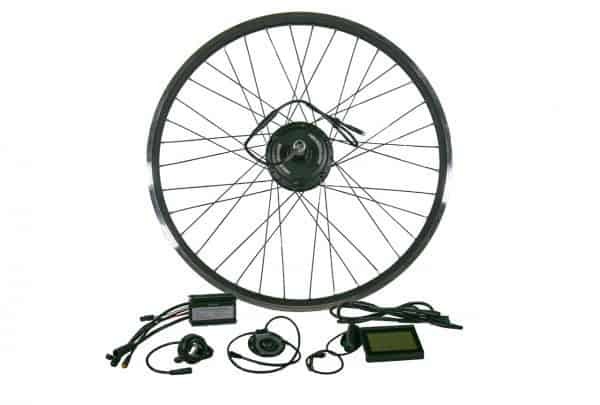 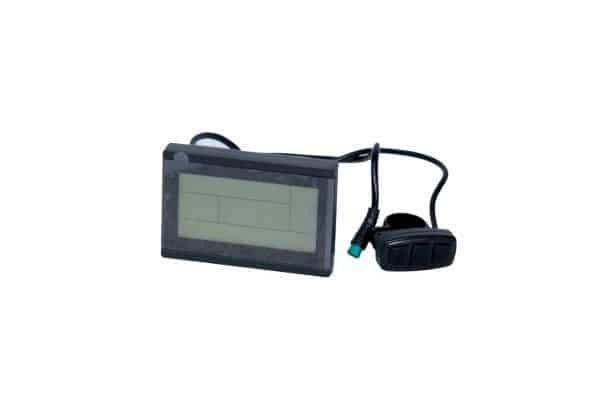 The LCD3 handlebar dashboard display allows you to adjust the strength of pedelec assistance. 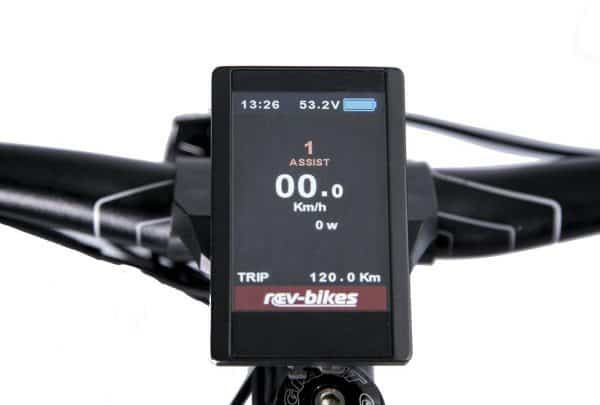 The display has a backlight, and it displays useful information such as battery level and voltage, wheel speed, power usage, distance travelled, and a few other handy stats. 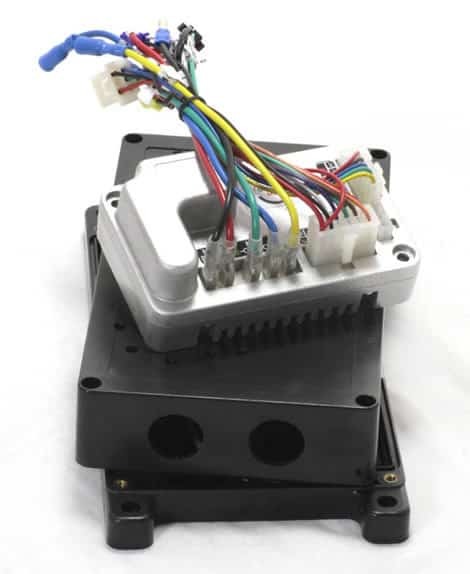 We only use the top-quality battery chemistry of Lithium tri-metal (Nickel Manganese Cobalt Oxide, or NMC), which is the leading type used for electric vehicles at the moment. 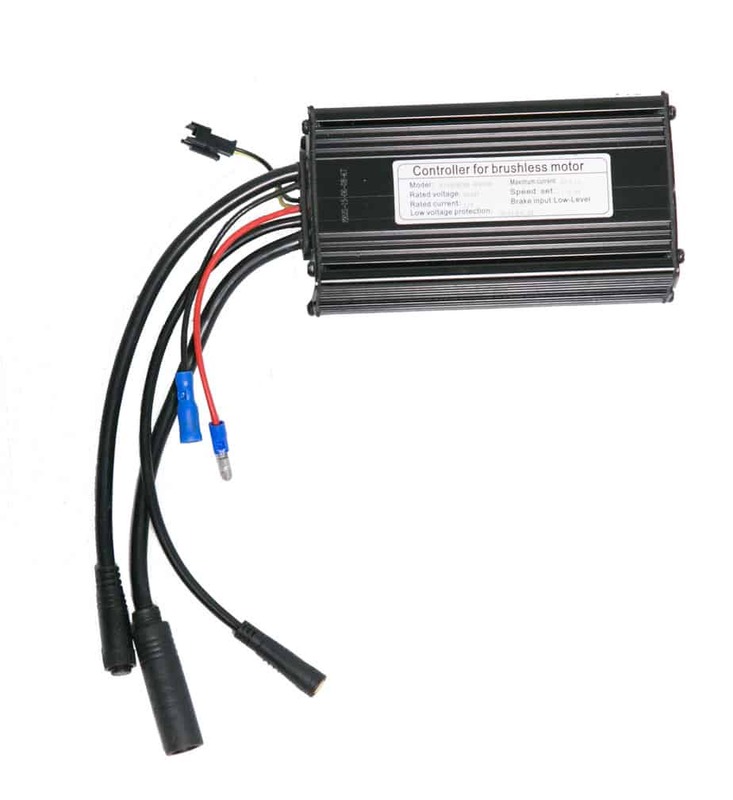 Read more on our batteries page. Also find links to sizing templates for the frame-mounting batteries, or you can order a Battery Template Kit by mail, so that you can confirm which packs fit, and order your ideal battery with complete confidence that it will suit your frame. 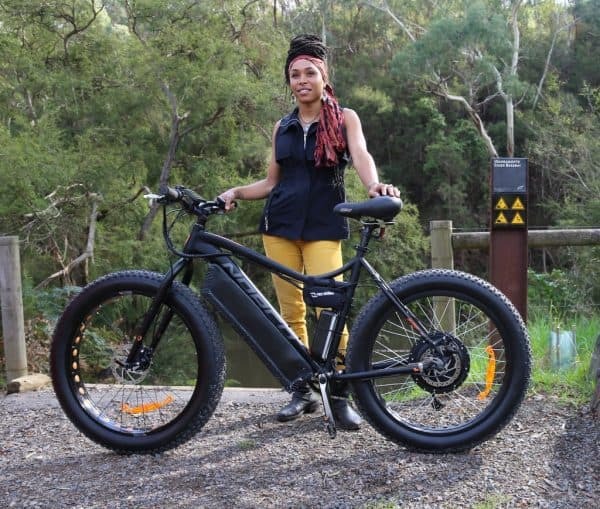 No longer will you be limited to where you can ride.. 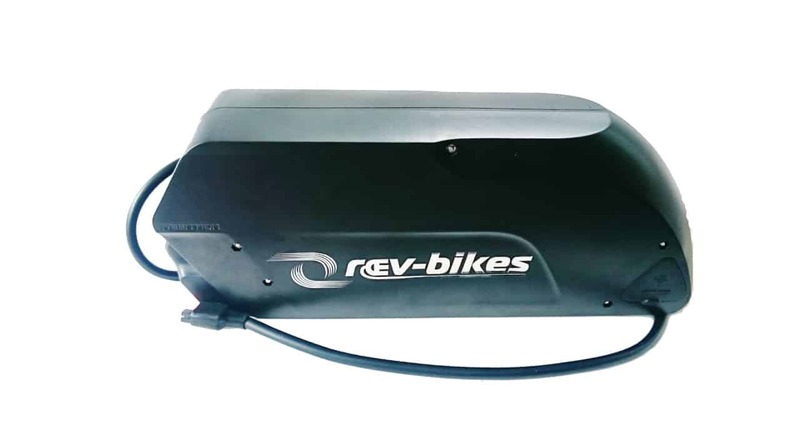 The steeper hills will feel flat, and the world will lay down for you when you upgrade your bike with a REV-Bikes electric assist system. 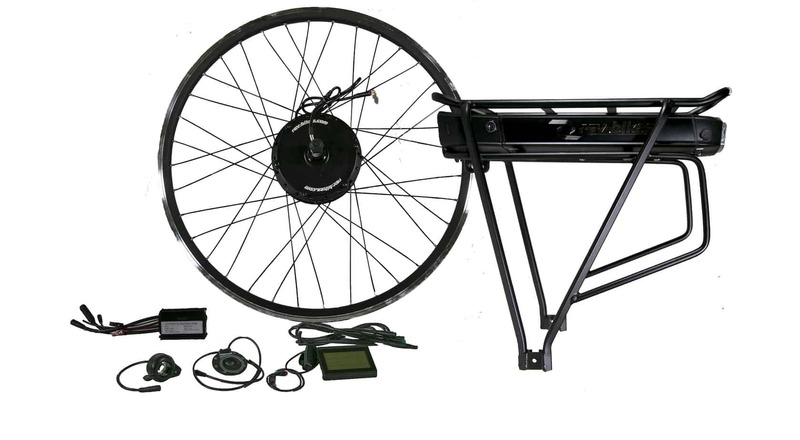 Book a Test Ride – we even come to you! 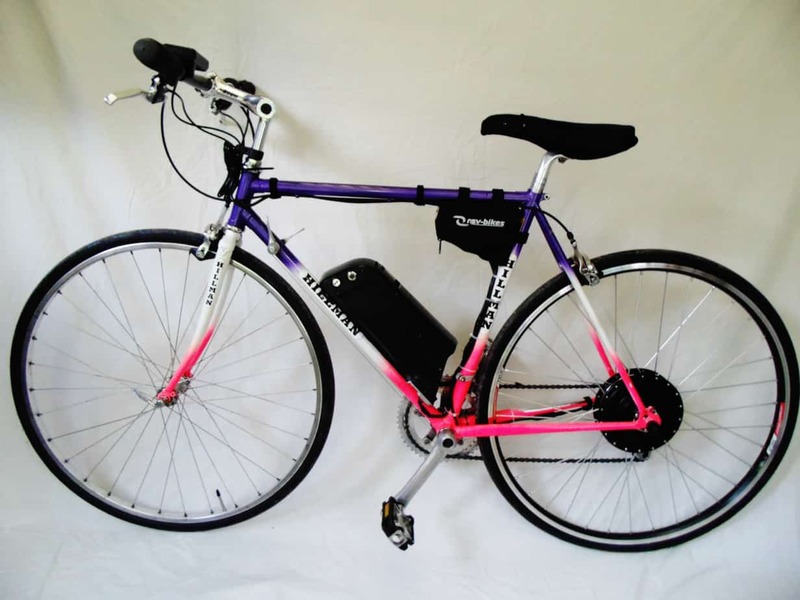 See a range of bikes fitted with REV-Bikes Kits in our Gallery.